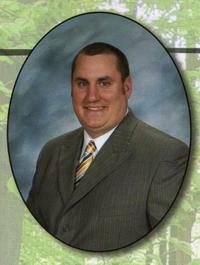 Brian has been the Pastor of High Point Baptist since January 2009. A 2005 Graduate of Southeastern Baptist Theological Seminary, he has previously served as the Associate Pastor of Mount Calvary Baptist Church in Dillon, SC from 2006-2009. This is where he met and married his wonderful wife, Blaire. Brian also served as the Youth Pastor of Lamar First Baptist Church in Lamar, SC from 1997-2001. He has a great passion for the preaching and teaching of God's word. His greatest desire is to see people come to Jesus Christ for salvation.